Tomorrow (Tuesday, November 4) is Election Day in the United States. Americans have the opportunity to execute their civic duty and vote in federal, state, and local elections. Voting is one way in which humans make decisions in a group setting. Through a democratic political process, we each cast our individual votes and we accept the outcome of elections. Majority rule. Thanks in part to the onslaught of political ads, many of us are acutely aware of how people are asked to participate in election day’s group decision making process. But, have you ever thought about how fish make decisions in group settings? Well, they don’t exactly all line up at the polls. But, schooling is one example of how fish make group decisions. Their lives depend on it. 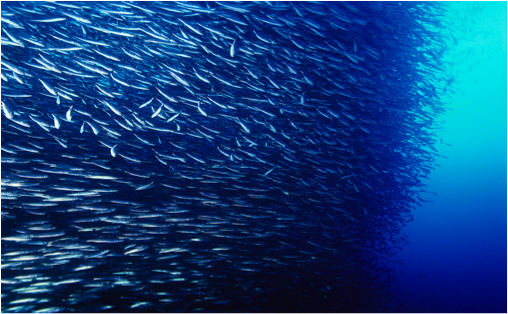 Prey fish, such as sardines, anchovies, and menhaden, school for “safety in numbers.” It is more difficult for a predator to identify an individual amongst a group than on its own. Schooling has also been linked to foraging efficiency for these prey fish species. While two heads are said to be better than one, it follows that two hundred heads are better than two. By schooling, filter feeding fish can work together to more easily find and consume food. To function, fish schools make unanimous decisions. Additionally, schooling has been linked to swimming efficiency. Fish can “draft” off each other like bikers in the Tour de France. By schooling, fish conserve energy and even reduce oxygen consumption. This is particularly important for pelagic fish that swim long distances in open water, such as tunas. If you’ve ever tried synchronized swimming, or even just watched it on the Olympics, you can understand that swimming in unison is no simple task. How then, can a school of hundreds of fish, mere inches apart, function as one unit with the appearance of ease? Though our politicians rarely act this way, schooling fish must make decisions unanimously and come to consensus. To swim as a school, every individual must agree on the same course of action. 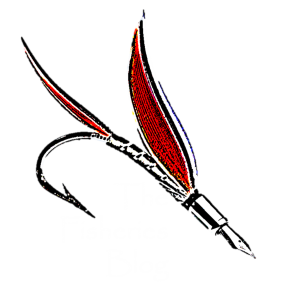 Research studies have shown that experienced and informed fish often influence inexperienced and uninformed fish to drive the decision-making process. For example, if fish on the outside of the school see a predator to the left, they will want to swim right. Fish in the middle of the school may not be privy to that information, but with positive feedback (i.e., those outside fish really, really want to swim right), the fish in the middle can copy the decision and consensus can quickly spread through the full group. Consensus decision making, however, does not guarantee that a school makes the correct choice (i.e., that predator that those fish saw may have just been the shadow of a cloud and now the whole school wasted energy sprinting away from it). But, behavioral experiments on sticklebacks (Gasterosteus aculeatus) found that as group size increases, fish can make more accurate decisions. 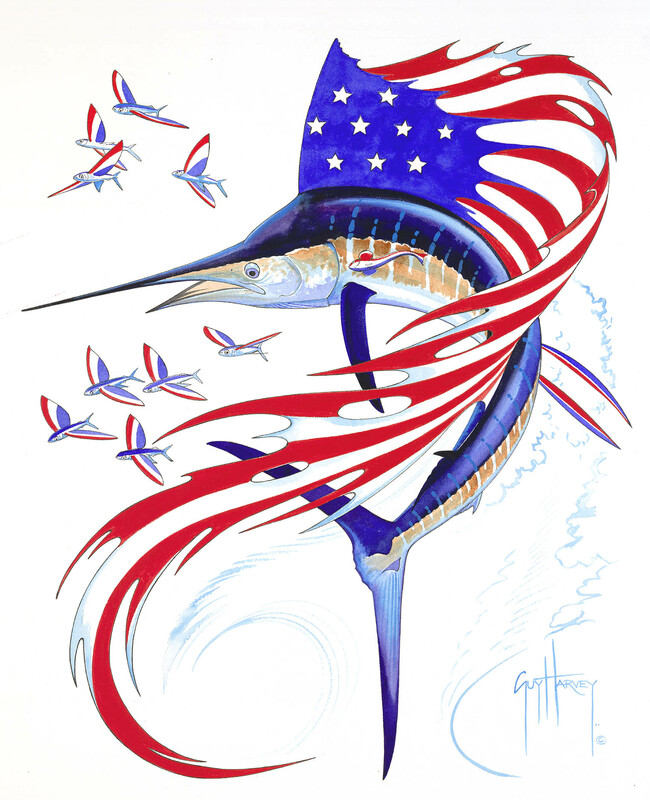 These patriotic Guy Harvey flying fish and sailfish say go vote! healthy and the other appeared sickly (using four different biologically meaningful traits for comparison). The test fish had to choose a “leader” of their school from one of these two images. The researchers tested individual fish, as well as groups of two, four, and eight. As the size of the test group increased, the sticklebacks chose the “healthier” leader more frequently. So, the larger schools of sticklebacks made better decisions through consensus. While these unanimous decisions are crucial for fish schools, there are many ways to make group decisions. This election day, please consider your part in group decision making and remember to vote!